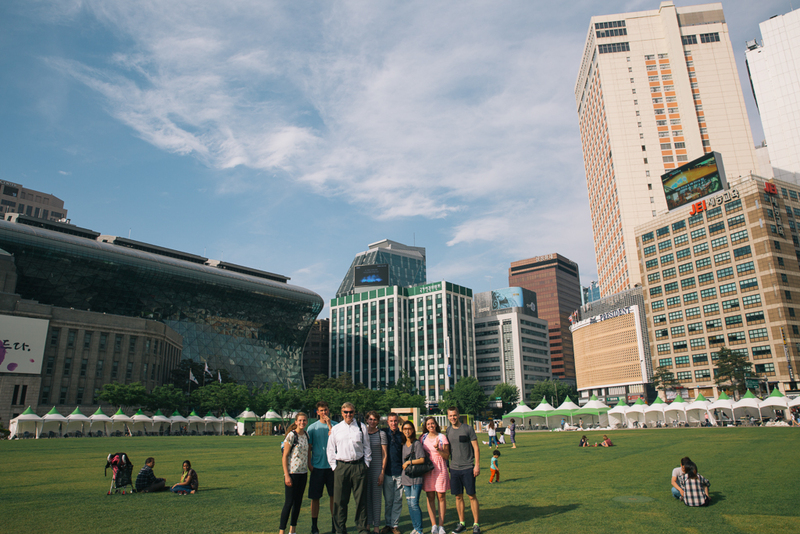 Okay, it took me long enough to get this posted but we had so much fun exploring Seoul! This is part #2 (See part #1 here and part #3 will be coming soon, hopefully;). the streets were so clean even though packed with people, their technology was just so advanced, and much more! It’s amazing and I loved it! It's kind of underrated as a tourist spot though because we literally saw like only two other tourists there, lol. There aren't many English signs so it would probably be hard to get around if you didn't speak Korean, so that might be one factor. Sojung told us that 97% of the population is Korean. 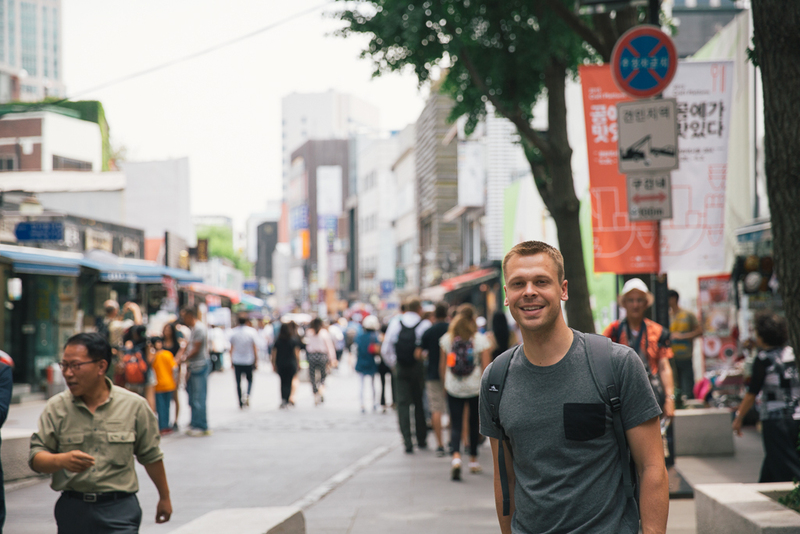 We spent 8 full days in Seoul, and learned how to get around in that time. 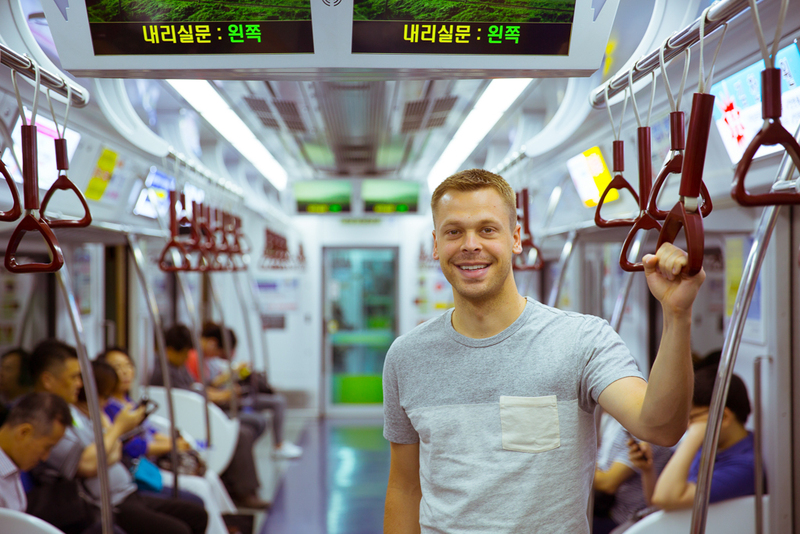 As I mentioned, the subway system in Korea is so easy and not to mention fancy! It's so unbelievably clean and they play cute music when each subway arrives. They use “T money” cards to pay for everything. This is Sojung teaching us how to use it. First, you have to buy the card for $3 dollars, and then you can add however much money you want to it. 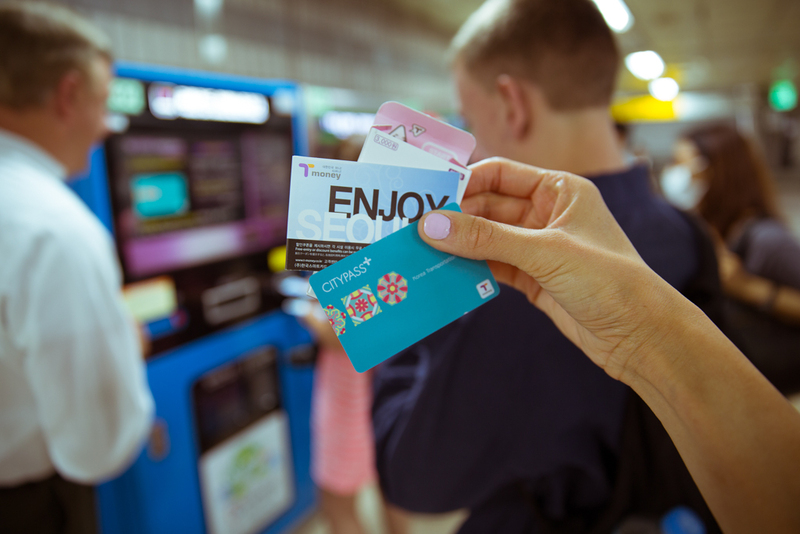 The great thing about T money is that it is much more than a subway card because you can use it for taxi rides (just tap and go) and even at convenience stores! It’s their way to pay for everything. 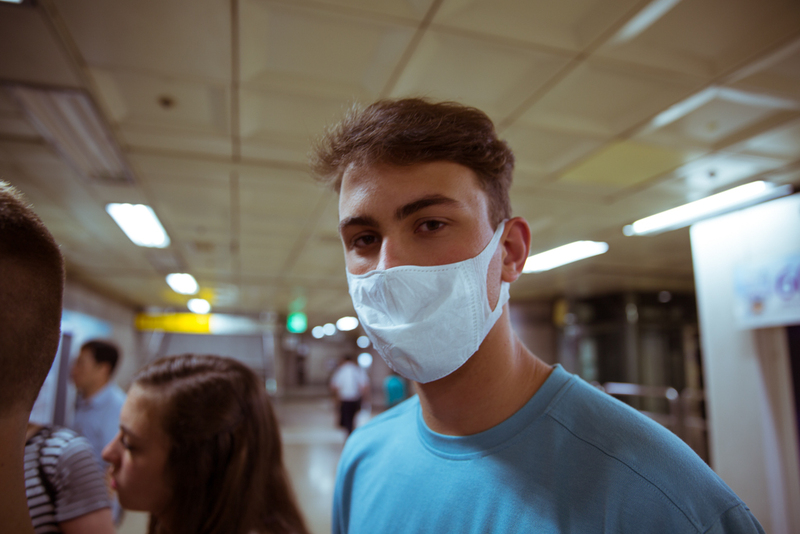 While in the subway, Grant decided to act as the locals do and wear the mask that Sojung gave him! Ha! 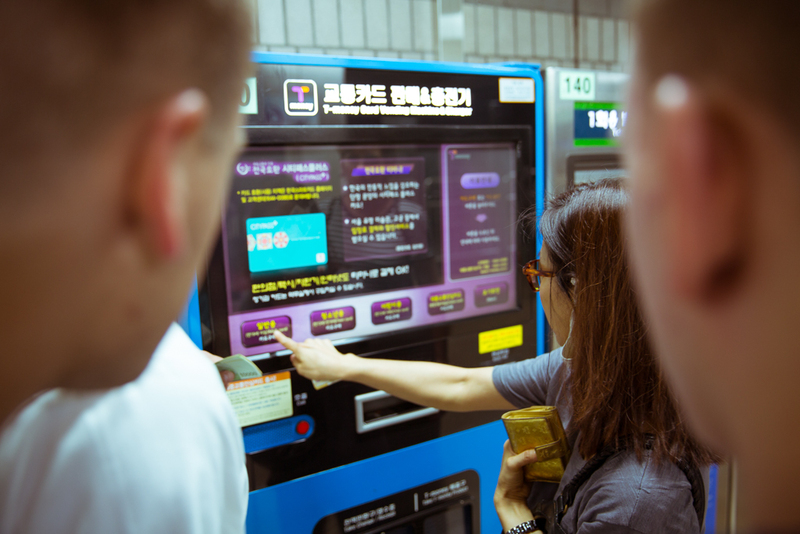 Sojung told us it’s etiquette to be very quiet on the subways. Even if the car is packed with people, it’s silent. It was so hard for our family to follow this rule though because we all talk so much, and Sojung had to keep reminding us to keep it down! Also, there are certain seats reserved on the subway for pregnant women and the elderly. Don’t sit there if you aren’t one of those, because yes you will get yelled at (my family had to learn from experience… oops!). 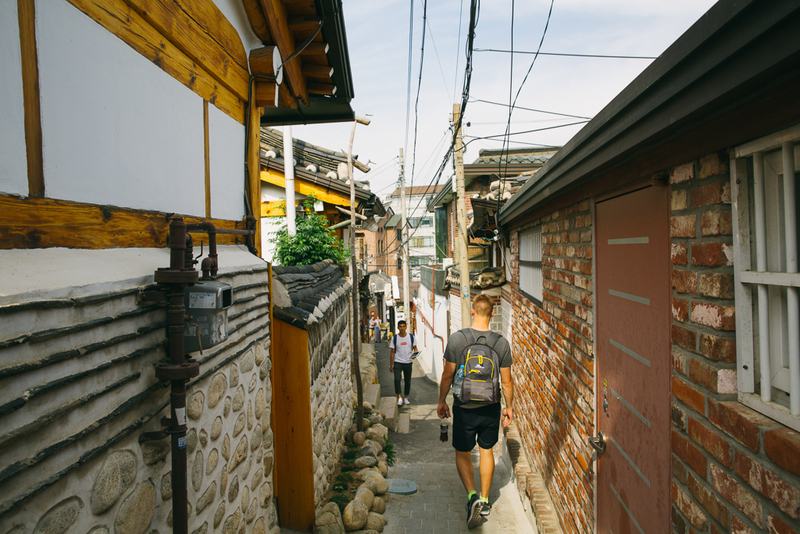 We headed downtown to go visit the mission home. On the way there, we saw of few of the sights. 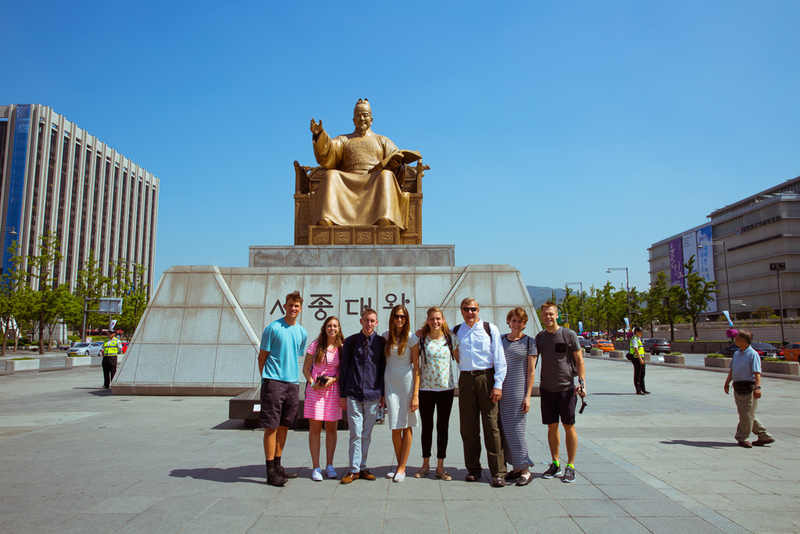 I might be wrong, but I believe this is a statue of the king who invented the Korean alphabet. 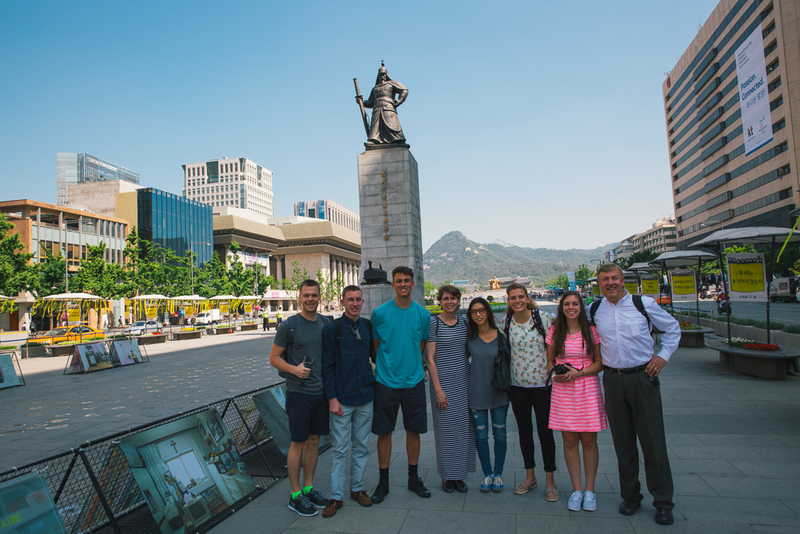 Beneath the statue, there was an underground museum. 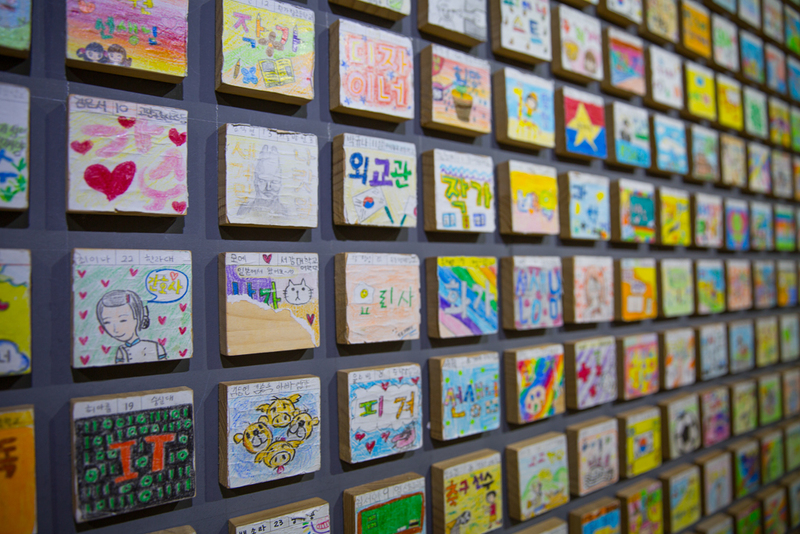 On the walls we saw all of these cute tiles that Korean children painted of the professions they wanted to be when they grow up. So precious! We left the museum and hopped on a bus to take us closer to the mission home. 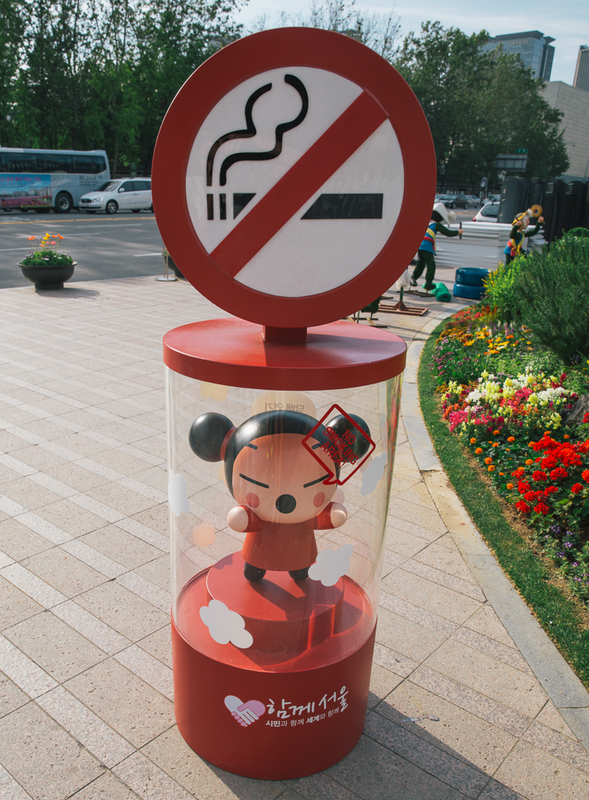 On the way, we saw these cartoon characters everywhere. I'm not sure who they are, but they are very popular! We made it to the mission home and chatted it up with all of the missionaries. 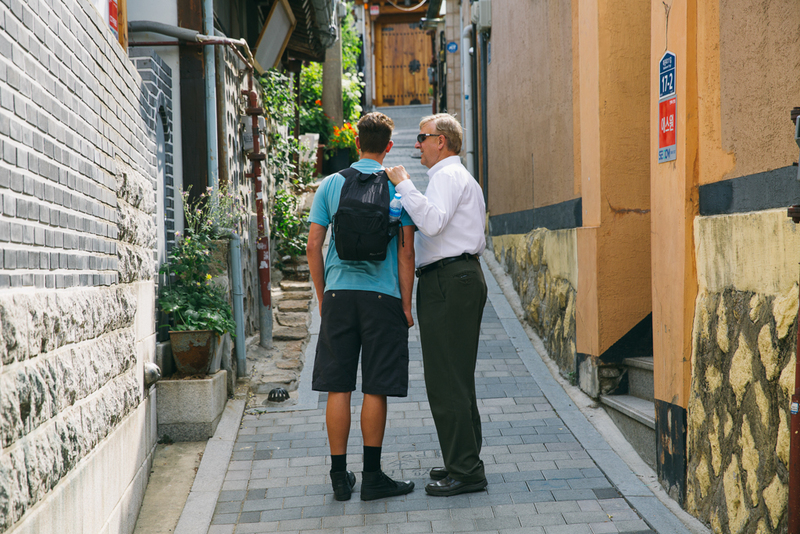 Dallin even ran into someone he knew from back home in Maryland, so that was fun chatting with him about his mission. 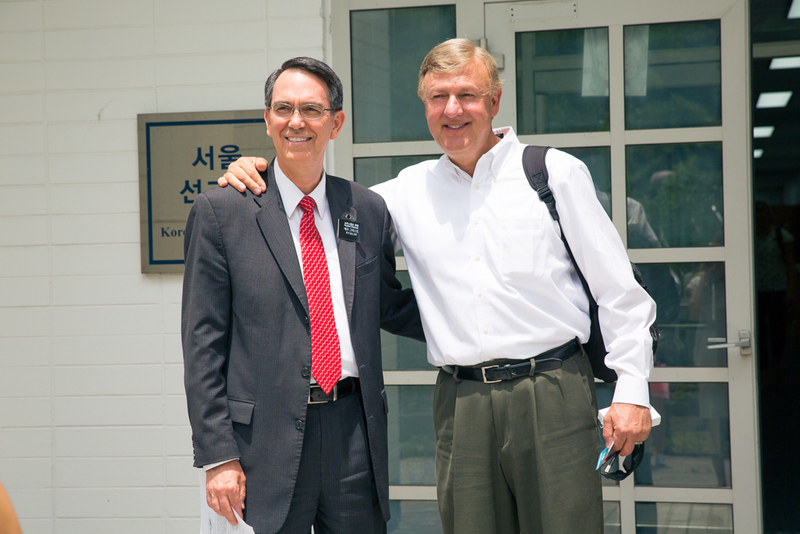 This is a picture of my dad with the current mission president for the Seoul mission. The crazy part is that they were companions together on their missions years ago! What a small world, and it was so fun meeting him. He told us what our dad was like as his companion, and it was really cool to hear. We ate at a lot of traditional Korean restaurants like this one, where you have to sit on the floor to eat your food. 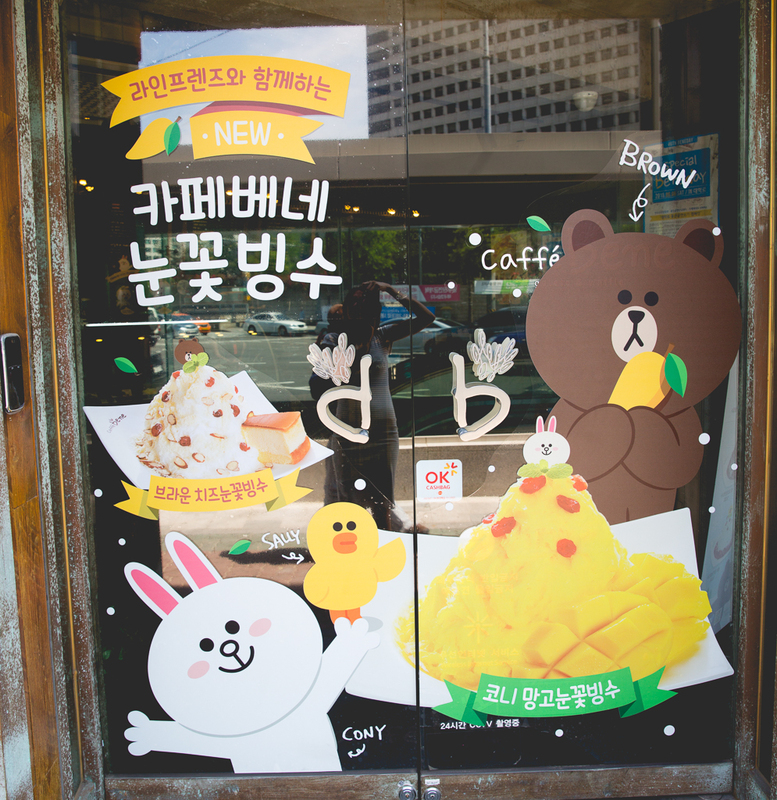 It's fun, but sadly I have a secret, I don't really like Korean food at all... don't tell my dad! 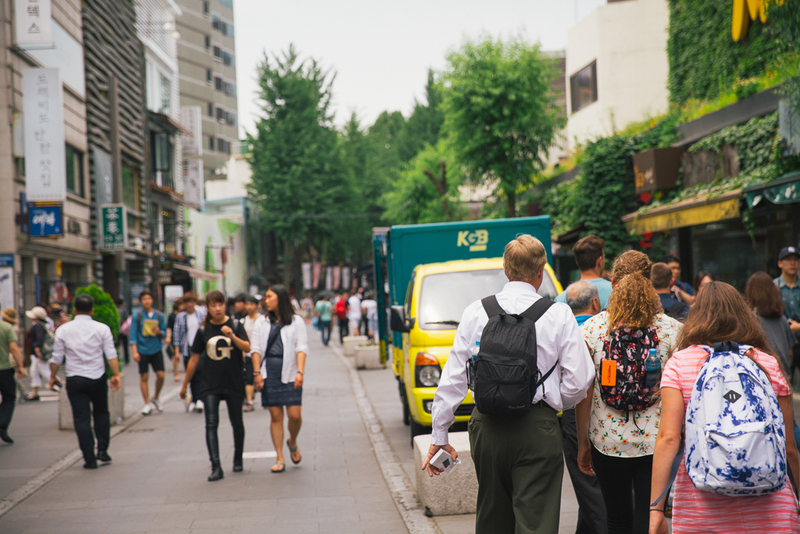 We walked over to this area called the Insadong District. There was tons of cute little shops and places to eat here. 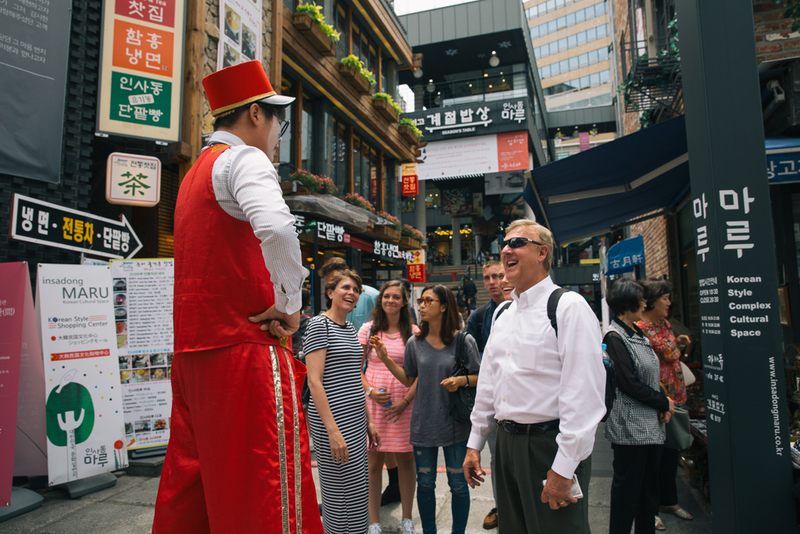 We ate the weirdest thing in the Insadong District, and apparently it's really popular. It was a bowl of noodles and vegetables, but here's the weird part: they dumped a bucket of ice on top of it! So there was ice with every bite. Strange right? They like eating it cold, where as we usually eat foods like that warm so it was trippy for me to eat. 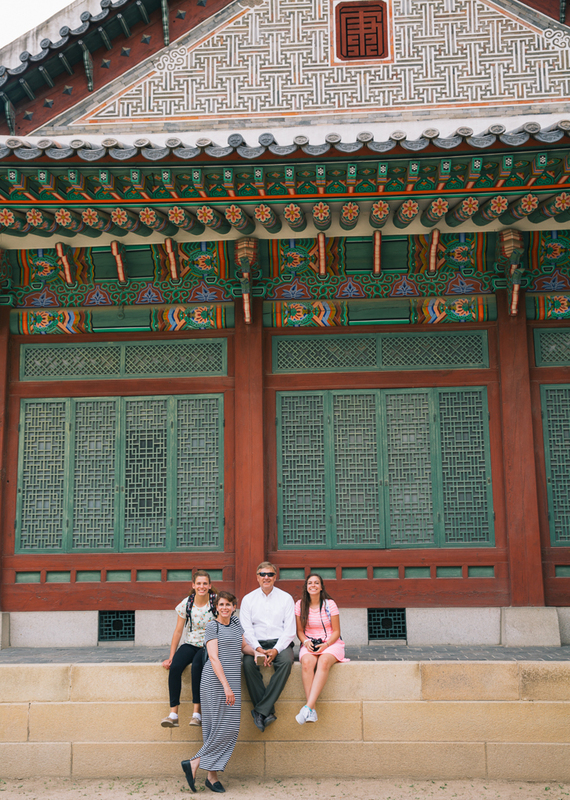 Next stop, we went to Changdeokgung Palace to explore around. This palace was really pretty. 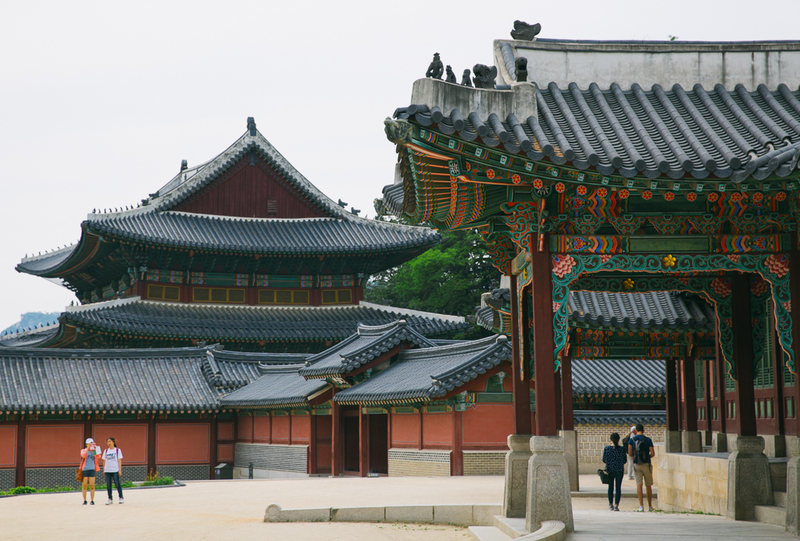 I liked the Gyeongbokgung Palace a little bit more, but this was still fun to see. 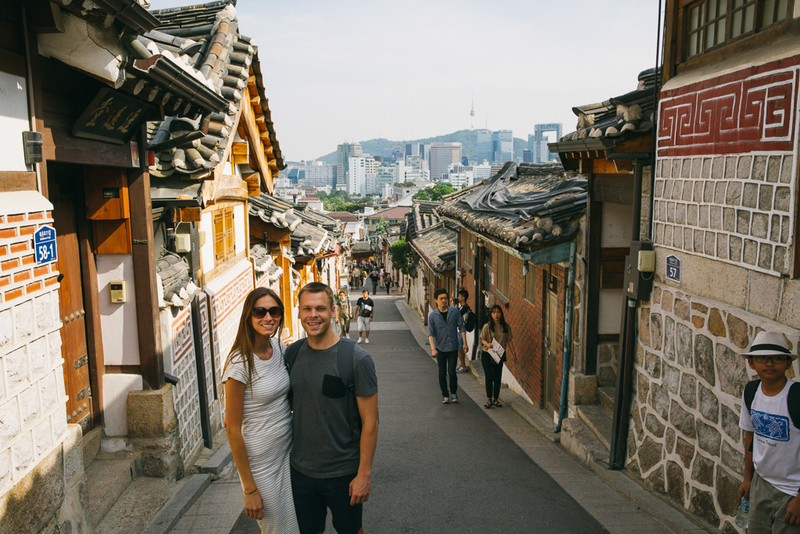 After the palace, we explored my favorite place in all of Seoul: Bukchon Hanok Village. This place is just so charming I could have explored the streets all day long! 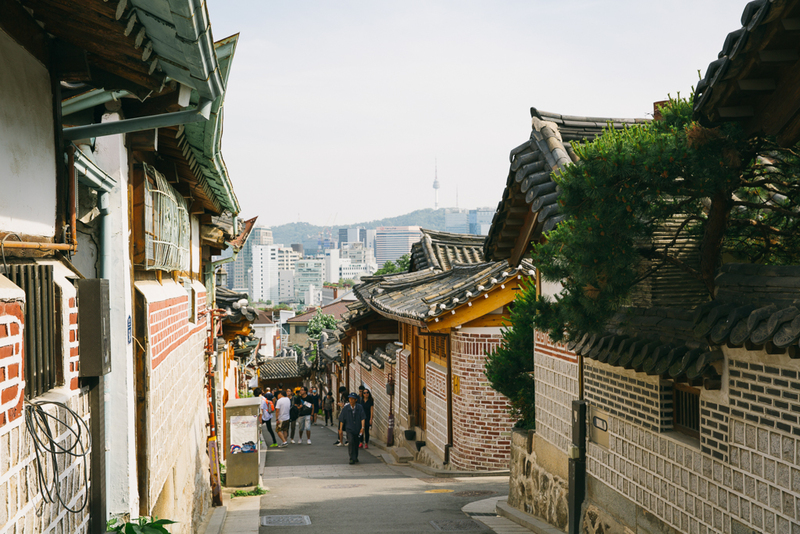 I love how we were in the traditional Korean streets, but then in the background you can see the huge city buildings and even the N Seoul Tower so tiny in the distance. The streets are super narrow in the neighborhood, and every now and then there will be a cute little shop. We were laughing at this one shop!! 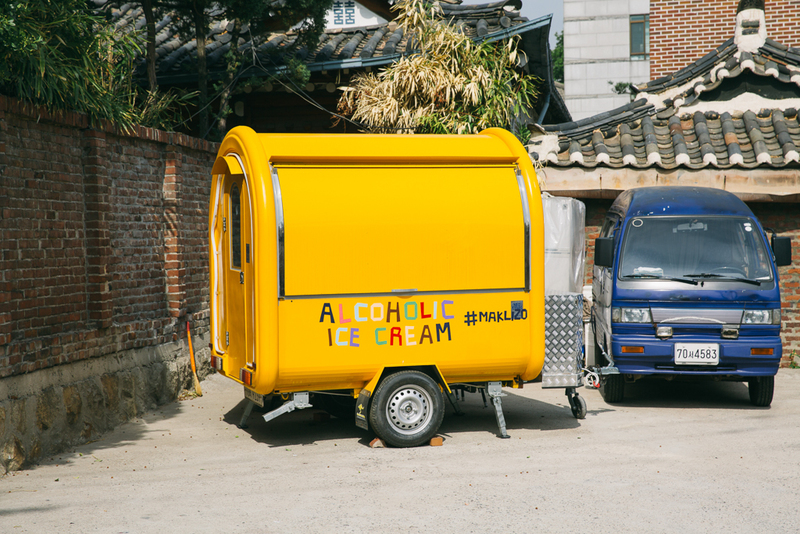 At the streets below the village, there are tons of hip places to eat. 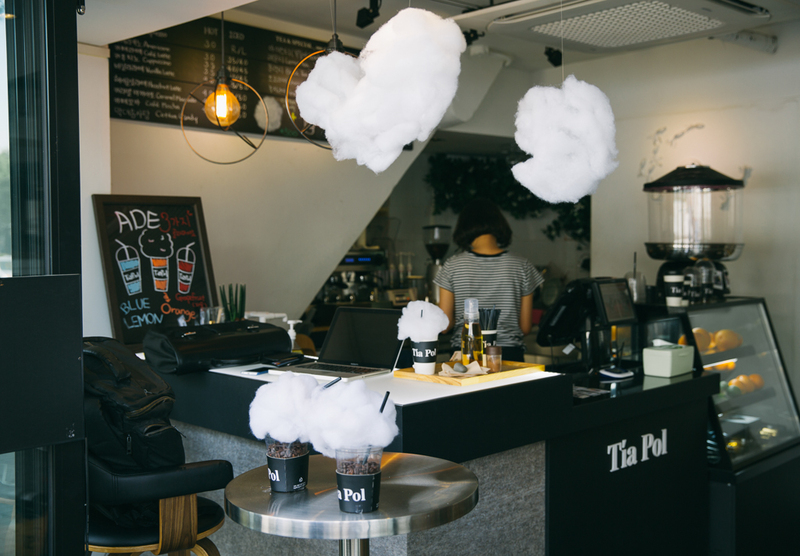 This one sold drinks with cotton candy on the top of it, yum! 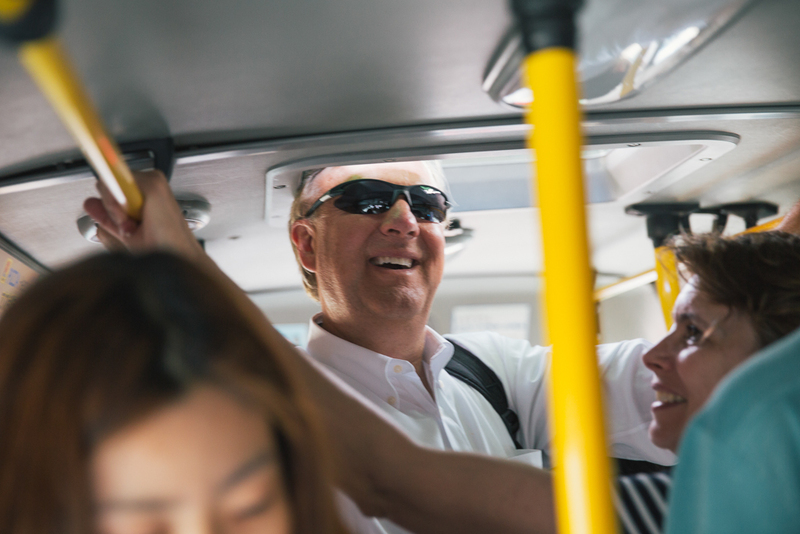 My dad was a little too tall for this particular bus. Luckily, there was a window for him to stick out his head! We made our way to another part of town so that we could see a market. 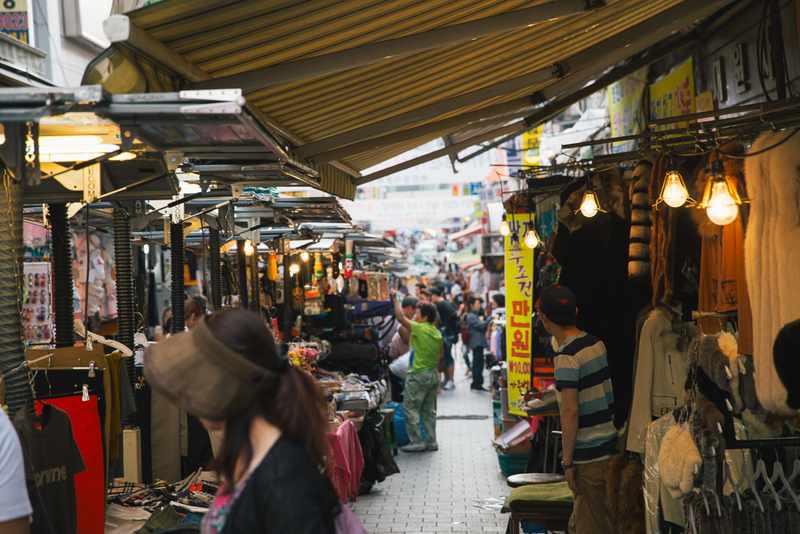 Markets are everywhere in Korea! 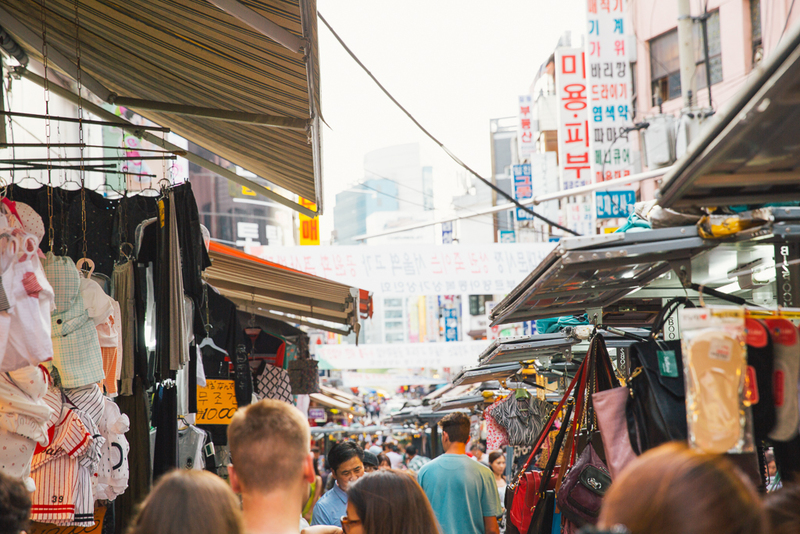 We choose to go to Namdaemun Market first and squeeze our way around the crowded stalls of vendors. I can't believe how packed this place is. You can literally buy anything here. And it's goes on for a long time. 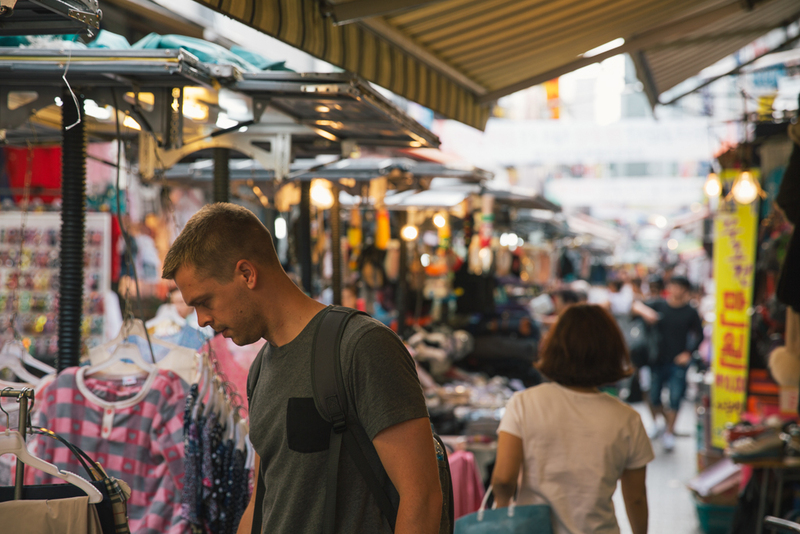 Almost every street you look down has more shops and vendors set up. We had fun exploring! Lastly, we walked by the South Gate and then headed back home to our airbnb to get some much needed sleep after walking so much. Going there, we adjusted to the time difference so quickly. It was nice because we all would fall asleep by like 9:00pm, which meant we all woke up super early and could get an early start on our day. 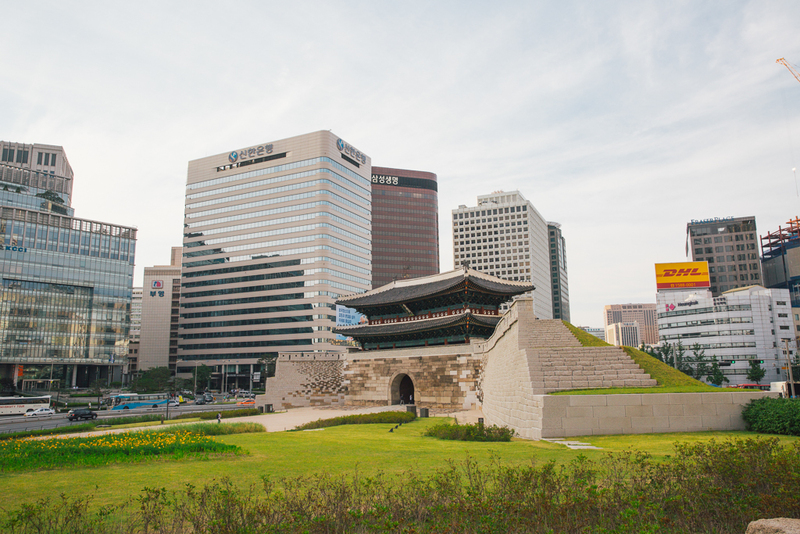 Anyways, Seoul Part #1 is here and Part #3 is coming soon!